As one of the millions of people who graduated college with student loan debt, I can tell you how disheartening it can be to look at that giant balance every month. For some, there appears to be no relief in sight. I’m a researcher at heart, and I always like to take every effort I can to pay my loans off faster. That includes paying extra on my balance every month, consolidating for a better rate, and now… playing Givling. 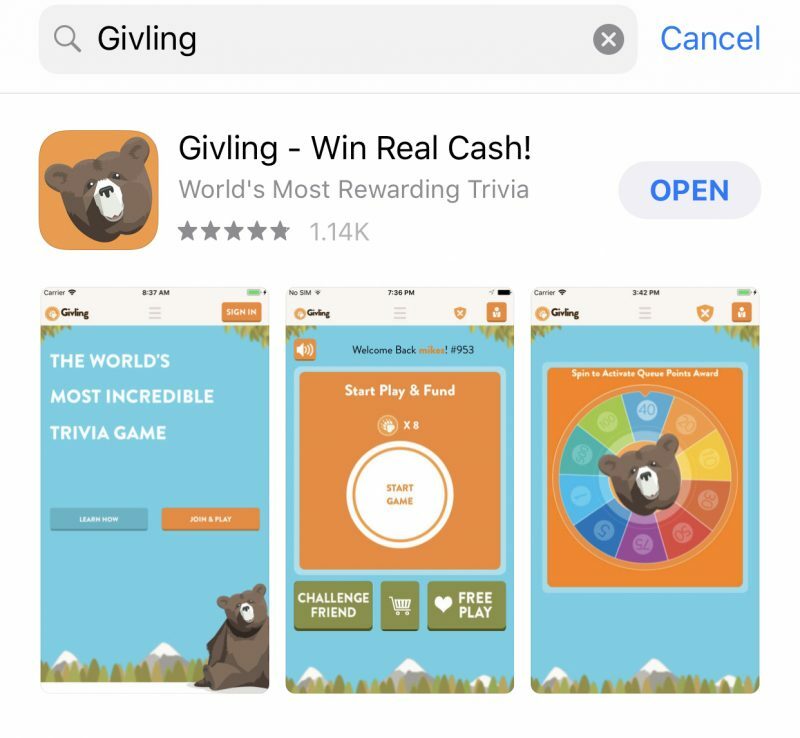 Givling is a trivia app (Android and iOS versions are available) that uses money from coin purchase (more on that in a second), sponsor offers, and advertisements to pay off up to $50,000 of someone student loans (the money can now also be used toward a mortgage or retirement). The number at the top (mine is #11310) is your customer number. This is used if you choose to redeem sponsor offers (which can be found if you click the 3 bars at the top, then “Queue Point Offers”), you win trivia, or you need to reach out about anything wonky with your account. Consider this your hub to find not only how much money you could win in weekly trivia (as you can see, this week’s winners will each get 1/3 of $29,675! ), but also who is in the lead in the queue and game leader boards, as well as Givling 101, which explains everything about the app in case you get lost. But don’t worry… it’s really easy once you get the hang of it! How Do I Earn 1/3 of the Week’s Jackpot? Great question! Givling offers everyone two free coins each day (each coin is valid for one trivia game). Normally these show up where it says “Fund & Play” in the screen above (it’ll say “Free Play” instead). Click on it and you’ll get thrown into a game! But be careful, you only get 3 strikes before you’re out. The goal is to answer as many questions as possible correctly. If you reach 45 questions, you’ve “ran the gauntlet” and your round will be done. Now, you may be wondering why you only get 1/3 of the pot. The reason is because you get randomly placed on a team with 2 other Givling players, and between the 3 of you, the goal is to score the highest team total for the week (the timer is on the app’s home screen and constantly counts down until the week is over – which is Wednesday, as of right now). How Do I Get Placed With My Teammates? This is an entirely random process. When you start a game, you’ll notice a team total on the bottom. This total is the sum of your two teammates’ scores. The reason you can see their scores already is because they’ve already played. 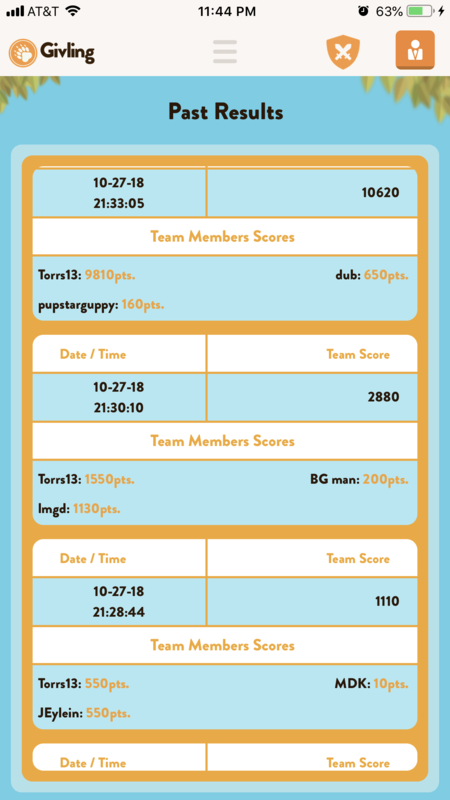 That’s the cool thing about Givling – even though you play one game, your score has the potential to get used one or two more times within the next 72 hours! What Are Queue Points and How Do I Get Them? Before we dive into what the queue is, let’s talk about queue points. Buy coins (not available in all states) – Each coin costs 50 cents, and there is a processing fee of 30 cents for each transaction. So if you buy 100 coins, your total is $50.30. Each coin is worth 300 queue points, but the Givling Facebook page often advertises incentives for double, triple, or quadruple points on these purchases! What’s With the Givling Queue and Getting $50,000? The queue is divided into two parts: green and orange. The green queue is for competitive players, meaning you can earn extra queue points (will talk about that in a second) by purchasing coins (which allow you to play one trivia game each) and buying merchandise. 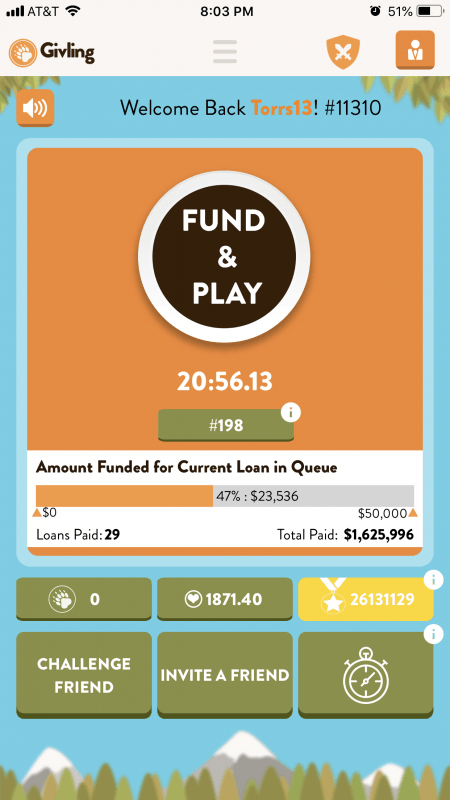 Unfortunately, not all states allow players to purchase coins, so that is why Givling created the orange queue. This queue is driven by free plays, invite a friend, corporate partner offers, and watching the ads I talked about earlier. You will be given a place in each queue, and the placement will fluctuate depending on how many queue points you have in comparison to the other Givling players. Now, I know it looks discouraging at first, but the truth is that the majority of the people who have signed up for the app aren’t very active, if at all. That means, that if you watch ads regularly and play your free plays every day, odds are that you have the opportunity to move up fairly quickly. 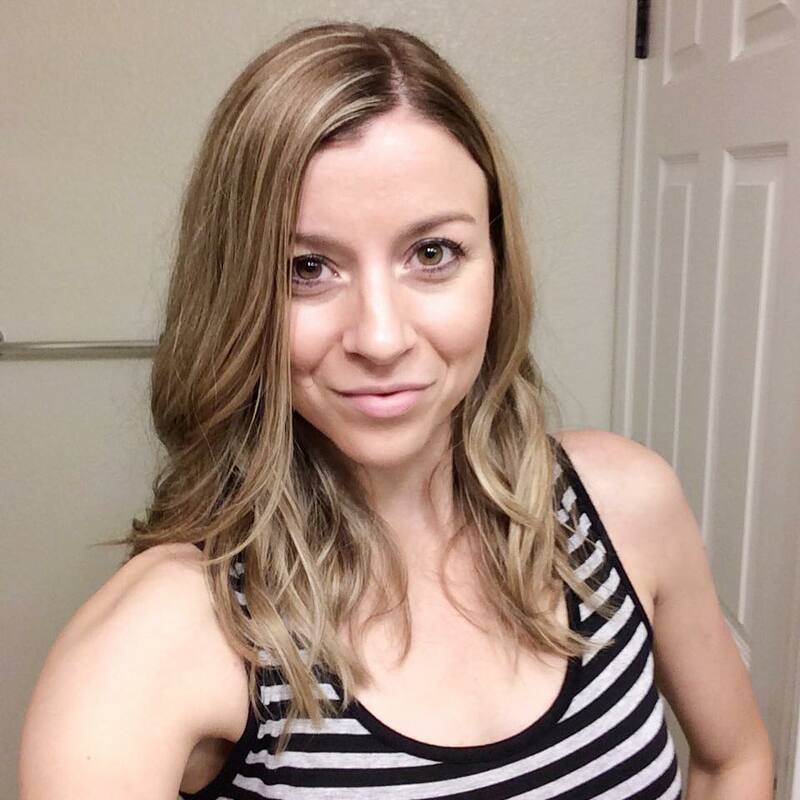 In my experience, Givling has grown tremendously over the past few months, and will continue to do so. The goal is to be able to pay off multiple loans every day, but that means more people need to join and be active! Take advantage of any corporate partner offers you can – those points will add up! What’s the Random Drawing About? 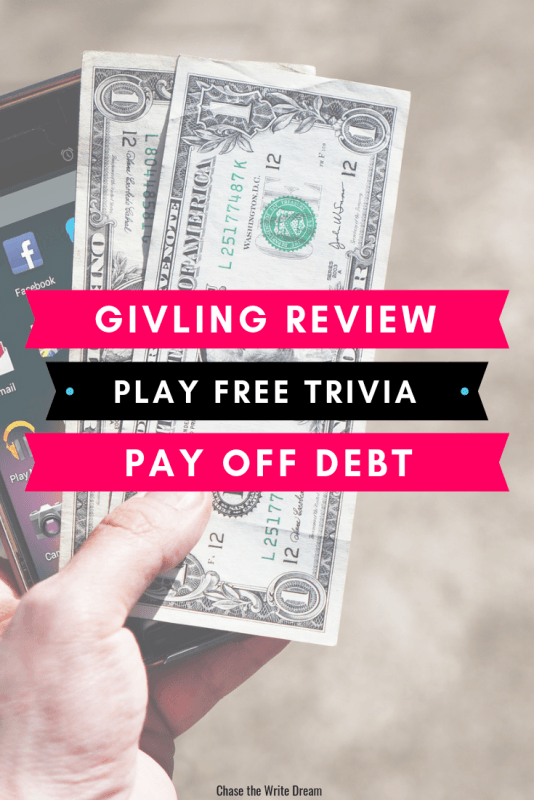 Back by popular demand, Givling has a random drawing once a certain amount of money is raised, and they release clues about who the lucky winner once certain achievements have been reached (such as having the current loan being 50% funded, etc.). The random drawing winner will receive $10,000, and anyone who has played at least 10 free plays in the past 30 days is eligible to win! What Are My Odds of Winning or Getting a Loan Paid Off? Honestly, a lot of this is going to depend on your commitment to the app, how good you are at trivia, luck, or being able to buy enough merchandise/coins to catapult yourself to the front of the queue. This is not an app where you are going to join and get your loan paid off tomorrow. But how I like to look at it is even if it takes two years for me to get to the top of the queue, that’s MUCH better than the 10+ years it could take me to pay my student loans off. I think it’s also important to note that the weekly trivia prize is a nice incentive itself. AND, the random drawing is another way to win now as well! Before Givling moved to this method, I won one of the games. Guess what my payout was at the time? $20. I told you – this app has come a longggg way. Honestly, you really don’t have anything to lose, even if you only play your two free plays every day. Imagine getting randomly placed on the winning team, or being the random drawing winner, and taking home around $10,000 – I bet you wouldn’t complain about that! So I encourage you to go sign up (use my Givling Code VC357207 to get access) and at least give it a chance for a week or two. What have you got to lose?